New Cavendish III building receives major funding boost thanks to the Dolby family donating £85m to one of the most prominent Physics research institutions in the world. It represents the largest philanthropic donation ever made to UK science. 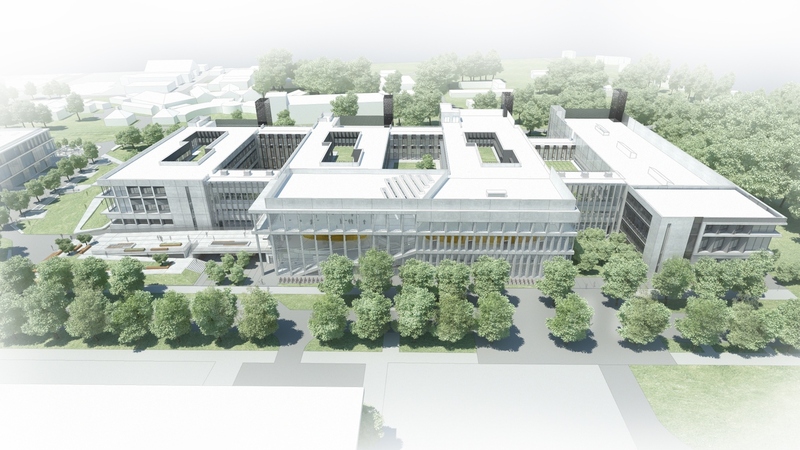 Due to be completed in 2022 the new building will provide state-of-the-art facilities for research and teaching and will be located on the West Cambridge site. The donation comes from the estate of Ray Dolby, founder of Dolby Laboratories, which revolutionised the audio quality of music, motion pictures, and television worldwide. In recognition of this gift, the flagship part of the Cavendish Laboratory redevelopment will be named the Ray Dolby Centre. Cambridge Vice-Chancellor Professor Stephen Toope said: “This unparalleled gift is a fitting tribute to Ray Dolby’s legacy, who changed the way the world listened – his research paved the way for an entire industry.” Dolby’s son David said: “Our family is pleased to be able to support the future scientists and innovators who will benefit from the thoughtfully designed Ray Dolby Centre. The department for physics at the University of Cambridge is renowned for fundamental discoveries, including the electron and the structure of DNA. Its new facility will be a purpose-built centre for world-leading research, bringing all the research groups in the department under one roof to encourage collaboration. Ramboll has been involved with the department since 2014, working with them to define the technical brief for the building, before being awarded the civil, structural and vibration engineering design commission for the project. Through architects Jestico + Whiles Ramboll are also responsible for the acoustic and fire engineering design. The new facility is being designed to provide laboratories that will bring about the next generation of physics research. Ramboll has advised on the vibration design of the building to achieve a highly stable environment for investigations at the atomic scale. The building has been designed with the future in mind, with Ramboll providing engineering solutions for the building to be adapted in later years to meet changing research demands. The flagship element of Cavendish Laboratory, now named the Ray Dolby Centre, includes capacity for public events. Ramboll has provided the engineering design for the centre’s impressive entrance, which comprises a floating lecture theatre and large open atrium. This new public space will facilitate the department’s extensive programme of work with schools and the general public, which will continue to serve the local population well into the future. A planning application for the new facility has been submitted with construction expected to begin in early 2019. The Government announced a £75 million investment in the Cavendish Laboratory as part of its Spending Review in 2015. The remainder of the core funding for the construction of the new Cavendish Laboratory has been approved with completion set for 2022.